Corsa Sport » Message Board » General Chat » Anyone else got/had a ph1 Clio 172? 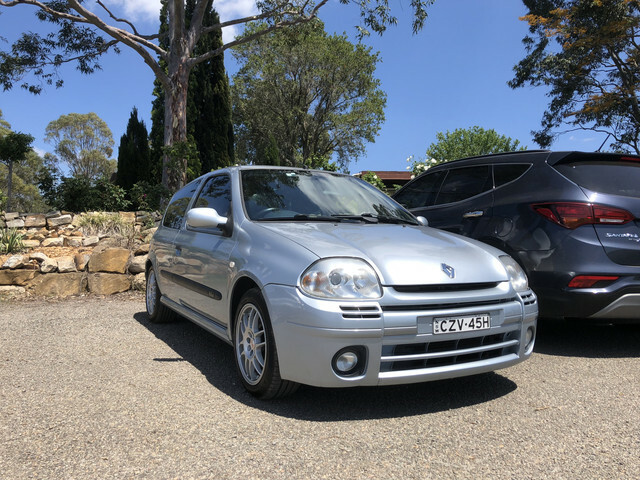 Author Anyone else got/had a ph1 Clio 172? I bet they are in better condition too due to the climate? I can't remember the last time I saw an early 172 on the roads here. We don't have rust issues, mine is mint apart from some spacky repair work after a rear-ender. Still drives straight tho. I get all my parts from the UK, there are only 85 of these in Australia. I would have thought it cheaper to get parts from La France! surely does not matter if you are in OZ. My steering wheel melted in the sweltering English summer, so I’d imagine the dash has evaporated out there!! I am sure someone had a Trophy on here at some point, what that you Jamborina? The steering wheel has seen better days, for sure. I have a spare here that I am going to get retrimmed at some point. Rest of the dash is fine, it never got that horrid sticky crap that the phase 2s and 182s were afflicted with. Phase 1 FTW! Only problem I have now is that the throttle body needs an overhaul, its sticking. Trying to find a new one for less than $1000 delivered is doing my head in. 1000 AUD for a throttle body? that's like over £500? Just had a look on Ebay and used & refurb between £40 and £160. Do you have any relatives that can put one in a suitcase when they travel from the UK? Can't you just take it off and give it a damn good clean with some carb cleaner? Every throttle body I've had that's given me trouble has had that treatment and sorted me right out. My 528i one jammed closed on the way home from Germany once, has to take it off outside a VW dealer I managed to limp to off a Belgium motorway, the techs there took pity on me and gave me a hand lol. Cleaned it with some rags got me home, then took it apart and blasted it out when I got home and was fine for another 10k until I sold it. Can you linky me? The refurb ones I have seen but not a used jobby. The $1000 quote was for a brand new one from Renault. Have done all that, soaked it in carby cleaner but it only fixed it for 500km or so and then its back to normal. There is simply too much play in the spindle.